Dickcissels are rare visitors to Centre County, PA and have been found every month of the year, although there are only 8 records since 1984. During the past few years, there have only been a few records. My friends and I were lucky to have one fly over us, calling while we were watching shorebirds on September 9th, 2011 but then no others were reported until the big Dickcissel invasion during the summer of 2012, when Drew Weber found a male at the Livestock Evaluation Center (photo at link). Since this is a species that could turn up at anytime, anywhere – from a feeder to a cornfield, it was exciting to get a SCRBA text alert from Joe Verica this evening saying he had found a Dickcissel at the, now famous, Lincoln’s Sparrow spot off Whitehall Rd in State College. Ian Gardner and I shot over there as fast as we could and started birding down the first hedgerow, searching through the sparrows. 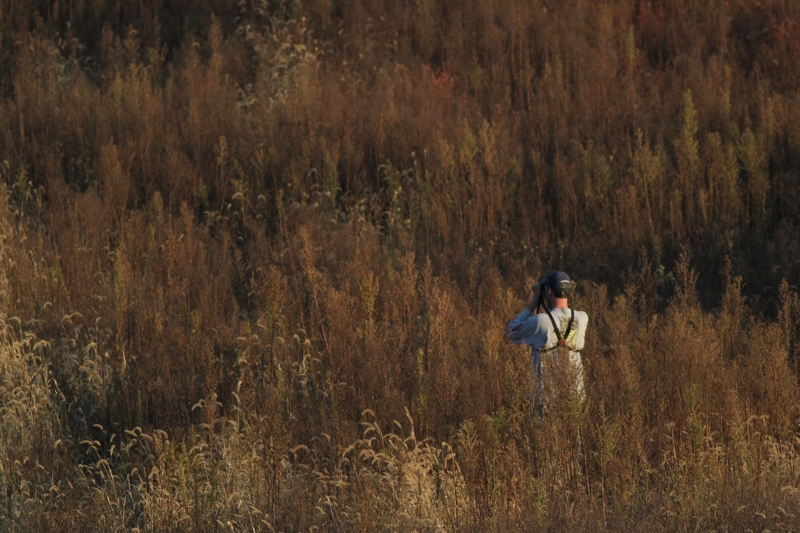 We could see Joe down the row from us and eventually caught up to him and planned out where to look for the bird based off where Joe had last seen it. 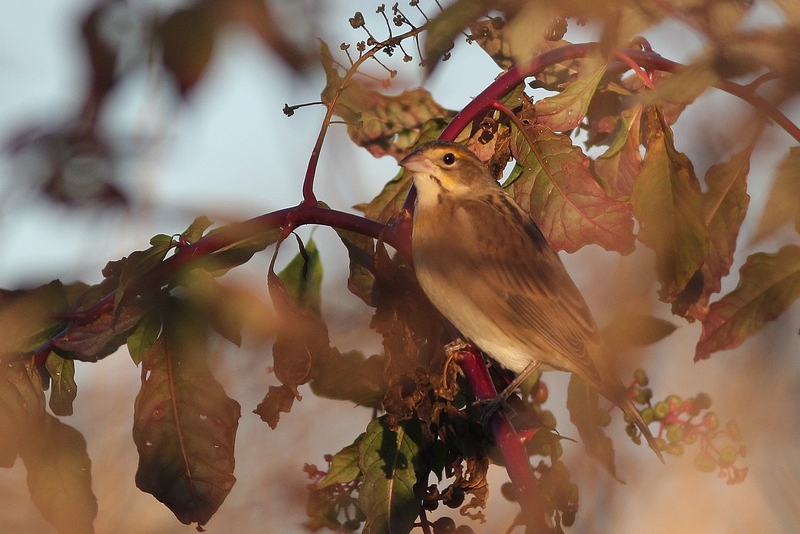 After a bit of pishing and sorting through the many little brown jobs crawling through the hedgerows, Joe re-spotted the Dickcissel and Ian was standing near him and could see it too. I was on the other side of the brush, but could see the bird and it eventually climbed up into a small gap in the brush that I was able to get a photo of the female Dickcissel through! After a few seconds, it flew off down the hedgerow and with it was a second bird (also female)! Another great day of fall migration!